First off, I like the idea of the dream journals in the Dreams forum, but what I think would be cool is more of an OBE journal where dreams are not emphasized, and it's more about the nature of my experiences meditating and exploring consciousness and how I do it. Should I just start an OBE journal thread here? Am I even in the right forum? I'm confused about the difference between the first three forums - OBE, AP experiences, and astral consciousness. I think what I've been doing lately is touching the edges of phasing. I'll sit or lie down and eventually get some vivid imagery, but as soon as it appears I move my eyes around to look at it, like I want to examine it from a physical perspective, and in that movement I snap back to physical awareness and lose the image. Or I'll reject the image because I think it's physical and my intent was to see NON physical images, so I get confused as it happens, thinking I accidentally opened my eyes, and as I try to re-close my eyes I snap back to physical. When doing that, sometimes I'll see people I don't recognize. Like yesterday I saw a beautiful woman who was just standing among other people, behind someone else, and I've forgotten everything about that scene except how beautiful she was and sort of what she looked like. I wonder if these are people we really knew in some other life? Yesterday I was concentrating on my breath quite comfortably, and when I finally got up and became physically aware I realized that I had been hearing a sort of white noise "after-breath" after each out-breath, and that it had been much louder than my physical breath. This kind of thing has happened many times, but usually it startles me awake and I wonder who's breathing in my ear. One time I did remain in the state for a while listening with curiosity to the double out-breath. I also will hear other noises that startle me awake, and it happens so much during the night that it has to be mostly non-physical because my neighborhood is totally quiet at night if I'm awake doing something. So I'm trying to find ways to reassure myself of these images and noises and not jump away as soon as they happen. I'm also working on going "deeper" as a matter of habit in my daily life when I have a moment. Maybe towards Focus 3 or 10, I don't know. I'm glad I'm doing it. I notice things. I have had precognition quite a bit, but usually I disregard it automatically, like I have programmed myself to throw it in the trash every time. So I think this is helping me stay focused in the place where those thoughts happen and take them more seriously so I can act on them. As soon as you see images that is the time to get out of your body. That is what I do. There are times when you do not have to do anything and you automatically ap. For that to happen you need to stay relaxed not moving your eyes around or thinking of your physical. Your mind has to stay extremely relaxed or it will not work. Bluefirephoenix said it well, Your conscious mind kills the images. Ok, I'll keep at it, thanks! Today I had some success in imagining my breath as a pendulum, but going up and down with my breaths, to kind of dissociate it from a physical movement. I was slipping in and out of it. Sometimes I find myself suddenly making an out-breath, without remembering the last time I breathed in. I had some success in extending the imagery several seconds longer by only lightly paying attention to the images, allowing them to fade and change. I wanted to look into my shoulder to see if I could gain some insight on an injury, but I think that's too advanced for me to try at this point. I kept shifting my attention physically as I thought of my shoulder. But for the heck of it maybe I'll try just setting the intention of examining my shoulder as I begin, and then not even think about it at all and see what happens. It does sound like you are close to phasing. The images you get, are they black and white or in full color? Are the images static like photographs, or moving pictures like a video? It's color. It's often landscape scenes, which I guess I like looking at most or find the most relaxing! So I think it's usually static, unless it's some scene with people. But anyway I'll keep being patient with it and see what develops. I'm also working on moving back and forth to Focus 1 multiple times so I can maybe do it easier and quicker over time. It's kind of annoying that it takes me several minutes to get into it. I feel like there's no reason I shouldn't be able to do it in a few seconds. That's a little ambitious, but it's something to work toward anyway. Set fifty goals and maybe I'll reach a few! What fun! Stuff looks so real. I don't recognize any of the places or people though. I think one reason I don't let myself get sucked in is I'm afraid of just getting lost in a dream, and I want to stay focused. But clearly pulling back every time and losing it isn't the way to do it. Landscape scenes are fine, let them have time to intensify...for me, I had to wait until the scene started moving, and even after that it had to intensify a little before I could "step" into it without being bounced back. There is that sense of anticipation that you have to allow for, that pushes/annoys you like you said, as the scene strengthens, then it kind of pulls you into it naturally. You are doing great; everything you describe is how it naturally progresses. This teaches you patience and control of your perspective. Maybe wait for the scene to start moving in some way. To answer your last question, you have to let yourself lose it, in order to find it. It can be done I'm seconds. Have a read if not already done so. I've been thinking the same question as you Sleepy Hollow. I'm also wondering about obe or astral projection journal areas. I'm kind of interested in reading others journals and posting my own if I start having them again. Well I guess this is as good a place as any to post after several months. I got busy with other stuff but want to post about this again to help get my attention back on it and make some progress. The images that appear to me now are usually moving. I said above that they were static, so I guess that changed. A scene is alive for about a second, and then I put my attention on it and it stops moving and disappears. I think I need to adjust how I engage with it so I don't push it away. I'm starting to experiment with asking questions when I get into the visualizing state. I only remember one I asked, whether someone on trial was guilty of a crime. I decided that two red stripes meant he was, and immediately I saw one red stripe. So I'm not sure what that means. I don't really care about the answer, but it was the first thing I thought of to ask, just to practice. I'm having a hard time thinking of questions that I'm not afraid to know the answer to. I guess I'll just concentrate on mundane questions. I would really like to be more in control when I'm sleeping and be able to interact more deliberately and remember it. One thing Seth mentioned is our dreams are sometimes a way for us to flesh out a concept, or the best approximation of it that we can understand. And I do get the feeling that I build a whole dream with a situation that stirs a particular shade of emotion in me that approximates what I'm trying to learn. Keep in mind that what I recommend is just based on my interpretation of certain commonalities I perceive between our two experiences and others that I have read; just one more perspective to consider. You are keeping yourself open to a number of possible expectations -the environment, recognizing people, asking questions, etc- This is a good and reasonable set of expectations, but I think this is the wrong time to be having them and they are complicating and confusing what the true purpose of this particular process is trying to teach you. In other words, you're getting too far ahead of yourself and this naturally leads to frustration. This type of learning in the NPR begins almost immediately and continues maybe indefinitely and involves the necessity of having to stop and reassess our present strategy and expectations and how to proceed; it has sure frustrated me at times. In simplest terms, sometimes the NPR just wants us to focus on and learn the most simple, next single step in front of us and nothing more. And until we do that, the whole process can grind to a halt until we make the right choice. Keeping in mind that this is the basic Phasing process where we patiently observe as the hypnogogia subsides and shifts into landscapes, then into moving pictures and finally solidifies to a point where we learn to transition into it. In an earlier post I suggested that the landscape would start moving for you and apparently it did, but now you have seen that depending how you focus your attention upon it, you cause the scene to 'freeze'. This was a good realization you made about the effect of your perception on a scene and that you need to somehow 'adjust' your attention so the process isn't interrupted. This is a pretty subtle yet necessary insight. A hint as to the answer: You observe the scene without freezing it by not focusing directly on it, kind of like watching somebody out of the corner of your eye, askance as it were. Learning this technique is the only thing being expected of you at the moment. The why or where of the environment doesn't matter, the questions will likely go unanswered -unless maybe you ask What is the specific lesson I am supposed to learn right here?-none of this is important right now, only the step by step process of learning to Phase, learning another exit method. Once you learn to 'modulate' your focus, the scene will unfreeze and continue building. You maintain that neutral observer focus and watch as the scene strengthens to a point where it occurs to you to 'step' into the scene -this can take a few tries to figure out as well-. I'll experiment with looking indirectly at the scene to keep from losing it. In the past I found that being really passive with imagery, only softly thinking of it and receiving it, was effective. But I guess I never really got good at that consistently. And in the moment it happens, I still feel hesitant in getting too absorbed in a scene, like I want to set an anchor here by interacting with the scene the way I would physically so that I won't drift off into a dream and forget it all like I normally do. But that's causing me to stay here. I guess the idea I have is the exploration will be productive if I stay alert and will be unproductive if I drift off into my typical meandering dream state where I keep repeating thoughts over and over and don't seem to accomplish anything. And yet I also can become alert later have a lucid dream, so I'm not sure what to think about that. Once again EV has masterfully explained this process. When I first began going to the "other realms" regularly consciously aware, I found I "flitted" and jumped around all over the place. So much was happening around me and I tried to make sense of it. The more I tried to make sense of it all the more confusing it actually got. Then I was told over and over again by my Spirit guide, (who just happened to be my deceased brother inlaw), to just relax and "observe". Once I had finally calmed down I was taught all kinds of unique different things like depth perception, telepathy, etc. But this only happened after I learned to observe now and question it later. In other words I soaked in everything I was told/taught and things that I saw and experienced. Then I went to my Journal, wrote it all down and that way I could see how this info would help me further as I explored more of these new realms again. Many times I ended a session myself, just so I didn't forget anything I was being taught or anything I was experiencing. It can be overwhelming at times. SleepyHollow reminded me of something and Lumaza reinforced the fact that this issue occurs in many areas of our experience, from RTZ-type experiences to learning an exit method such as Phasing and even into the deeper realms where the learning really begins to accelerate. That issue is the delicate balance or relationship of how and when we apply our Attention/Focus/Intent. Sometimes we are required to apply as much Focus as possible and stay engaged or lose the scene altogether; other times we are supposed to back off and passively observe all around us to be open to new stimuli. Figuring out how to determine this is very tricky and the dilemma can occur at any time. SleepyHollow, your initial reluctance not to throw out an anchor in the Phasing process is a perfectly reasonable idea left over from your experience of having difficulty staying in earlier RTZ type scenes or related. Now you have to let that tendency go for awhile and trust that the scene will continue on its' own strength. You will find that the scenery you encounter from here on has much more intrinsic stability to it. Maybe that has to do with our developing an inner, instinctive ability to supply the right amount of Focus but without overdoing it. Maybe there's more to it but I think that is a component. What I do know is that as our experiences move deeper, our psyches evolve in many subtle and nuanced ways; and like Lumaza says, a bit overwhelming at times (like last night for me!). Much of this we only figure out in retrospect and reflection. Thanks for the kind words Lumaza. From a Phasing session I personally use my focus to pinpoint things. But once something begins to alter from my focal point, I allow it to blossom, then I just blend into the scenario at hand. Example of this: I create a vision of a tranquil beach scenario. The visual comes and goes, but I bring it back again and again until it's clear. Now that I can see this beach scene clearly, I may notice that there is some kind of action occurring. I allow that "action" to grow as I observe it with an air of curiosity. Then when the time is right I join it or should I say I just blend into it. It is a balancing act. But like everything else in NP exploration, it gets better with practice. Where I really have a problem though is when I awaken in a spontaneous SP and either exit or don't. I haven't found the "key" yet to create a successful exit every single time. Sometimes it seems like being too aware hinders the process. I know though that you definitely can't think "here we go". For some reason that instantly kills a projection. At least it does with me. Sometimes I will feel my legs rising, then that's it, end of the experience. Other times, I feel my legs rising, then I am out and shooting down my hallway and out my patio window. Ok, great. I'll experiment with focus and see what happens. I didn't realize that I posted virtually the same thing in this thread back in May about this topic. The thing that intrigues me is the instant clarity of a whole scene in front of me, complete with live movement. The details are so fleshed out that I can hardly imagine that I'm creating the whole thing in my mind as an illusion. I never recognize any place, and yet it consists of the types of landscape features I've been around and am familiar with, so I'm not sure what to think. I guess I should keep a journal so I don't forget stuff. Why do we forget? What's up with that? I keep hearing the sound of my cell phone ringing as I wake, clear as day. It's gotten to the point where I ignore it unless it rings twice. Lol, SleepyHollow, at least a few of us have remembered and been paying attention to what you had posted back in May; you are close to a significant breakthrough in your awareness. The clarity of experience that you have had so far, in your RTZ and related experiences is one thing; to move to the next step really wakes you up and you get a taste of that during the Phasing process. The clarity of the newer environments is simply astounding. Are you creating the whole thing in your mind as an illusion? The answer is a qualified yes and probably to a pretty significant degree, at least initially; sorry, that realization was a little disappointing for me, but we move onward. The material that makes up the environments and entities you encounter, at least early on, that material is all drawn from your subconscious; that's why it has a hint of familiarity. And where the humor derives at times. 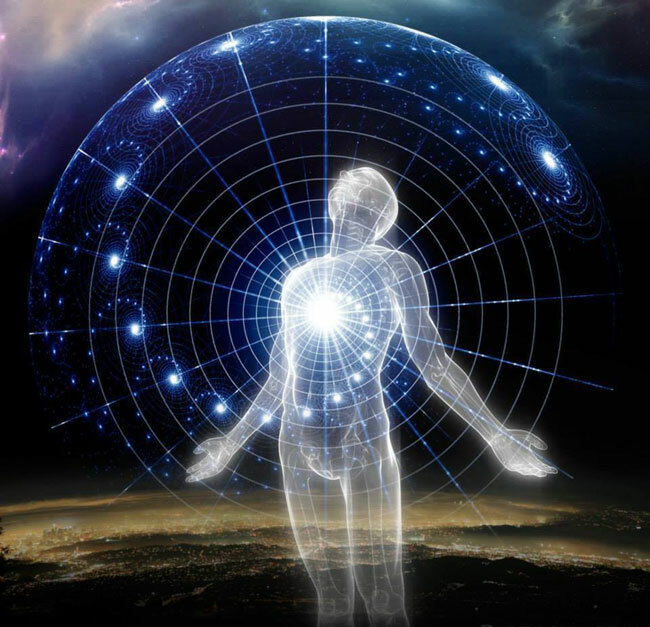 The qualified part to this answer is that no, the energy dimension that your subconscious material is presented within, the new matrix of energy within which you now learn to operate is not your creation; it is a new dimension that has infinite capacity for you to explore and learn within, the trick being your learning how to control your thoughts and emotions which manifest nearly instantly within. There can be exceptions, where an explorer has a special request, that may allow a deeper experience of the NPR, like when I asked to visit my recently deceased father...but for the most part, we are restricted to learning experiences where the material is drawn straight from our individual or possibly the collective unconscious. Without exceptional circumstances, it seems that we are restricted to our personal NPR areas to learn for awhile. We are not simply allowed to go roaming unattended through the NPR or the Afterlife regions in general. This condition will change at some point within our learning and we will move/graduate into more collective areas, but not until we display the intelligence and emotional control necessary that we won't embarass ourselves and muck the place up; they simply don't allow it. That's at least my take on it and it has become pretty apparent to me in my experience. Right now, your learning appears to consist of understanding where you are and what that environment is made of, how to move through it, and figuring out what lessons it has to teach you. Actually, you are still working on simply gaining entrance in a newer, more effective way compared to the earlier methods you have learned. Recognise that fact and challenge yourself to take the next step. This basic concept apparently repeats for quite some time...it is likely a very nearly eternal condition. Reading above that you stopped the experience was interesting. I thought for a second you'd done this deliberately, that would put you in the advanced category. It takes a great deal of control to freeze an experience especially when dual awareness is percieved. Replaying an experience or rescripting as Lumaza more correctly descrbes it is similar in difficulty. You'll master it all with time. Some very good info the above posts too. This will help you I'm sure. Well that's disappointing that it's all in my mind and these places I'm glimpsing aren't shared with anyone else in some way. But I guess that's ok. There's enough going on that I'm still happy enough to work with it. Szaxx, I just read your linked post. I've had dreams since I was a kid where I kept learning that my conviction of belief was what created things, whether it was having a potato appear in my head or being able to make huge jumps or fly. I sure do feel that conviction a lot easier in a dream. I've found that I can get into a light meditation in several breaths by feeling the stillness in my gut after each out breath. And soon after my head will start nodding as my body goes limp, or I'll notice sound is cutting out briefly, like the sound of my breath or any meditation music. I'll try being sensitive to where I'm being pulled and try going with it. I'm sure something subtle like that will make all the difference. I've read stuff where people keep suggesting to do it at night before I sleep, or as I awake in the morning. Morning sounds a little better, but whenever I get a chance in the afternoon sounds the best. That's what I've done occasionally. I've got a pretty good chair for it when home, or the car seat will work. SleepyHollow, you need to understand that the material used for your initial astral experiences is largely pulled from your subconscious...over time, more independent energies are introduced to add complexity and depth to the experience. This shows itself in the complexity of the situation and the characters involved...very subtle in certain ways. If I can learn something, then the experience is valid. So tonight it started out in a dream where I became lucid. I stopped. My breath was slow and easy. I was asleep. I sat down on a bench, closed my eyes and looked inside myself. I felt the soft vibrating of the dream state that always tips me off and heard the high pitched sound I sometimes get while awake. I heard a loud roaring, then a different roaring, and then silence. I asked a question, then just said I'll be open to get pulled where I should go. I heard another roaring, this time like a semi truck starting up. And finally I felt only my breath, but this time it was the more subdued physical breath. I opened my eyes and was awake. Now you are bringing that Dream memory recall back with you. You can incorporate that request into you night affirmations. Just think aloud that "When I awaken for the day I will have perfect Dream recall and I will write down my experiences in my Dream journal". Don't ask to remember. State it as "did it and done". Do it every night, no skipping. Then, make sure you write anything your remember in your Dream Journal. In a couple of months you can look back at your notes and maybe you can start to connect the dots and find some commonalities in them. This is the way you get your personal messages. This will also show you possible patterns and uncover new revelations. First off, I like the idea of the dream journals in the Dreams forum, but what I think would be cool is more of an OBE journal where dreams are not emphasized, and it's more about the nature of my experiences meditating and exploring consciousness and how I do it. Should I just start an OBE journal thread here? Oh, just to answer your initial post here. I use a AP Journal and a Dream Journal. Any conscious AP attempts get logged in my AP journal. Any Dream recall goes in the Dream Journal. I do that because I find that each method of attaining my non local states shows me something completely different from the other. With my AP attempts I first log the time I start and stop, the method of achieving focus and what "tool" did I use, if any. Did I use earplugs, Binaural Beats/Isochronic tones, a eye mask, etc.. Then I log my adventures and any other results of it like "signposts", etc..
My Dream Journal consists of my Dream recall and then I log what DTs (Dream Triggers) I find in them. My actual Sleep paralysis OBE experiences get logged in my Dream journal because they occur at night during my sleep and are spontaneous just like Dreams are, even though my OBEs have an entirely different awareness level then my Dreams. My OBE awareness is closer to my conscious AP awareness. I have found though that both lead to entirely different locations or levels per say. I thought dreams are just a kind of OBE, and it's mainly a matter of how much clarity and lucidity I have? I'm actually not all that interested in logging my dreams except as they relate to becoming lucid like the one I wrote about a few posts above. I feel like there's so much symbology that isn't going to translate well enough for me to make sense of it here. The other stuff is more interesting to me, all the noises I hear and anything else totally lucid like that. Maybe I shouldn't ignore the dreams so much? Is dream recall that important?